Deeper Life’s General Overseer, Pastor Kumuyi has finally forgiven his son whose flamboyant wedding sparked some controversy on the social media last year – June 2013. You will recall that Williams Kumuyi went as far as suspending his son, John when the “online controversy got so bad! where he can also preach on the pulpit. 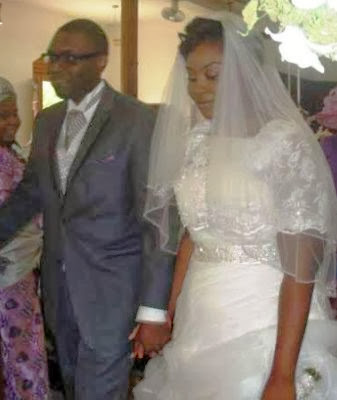 RCCG Groom calls off wedding to Bride at the altar! But why did it take him 7 months to forgive him finally? Oh, man’s judgement is too cruel. I think something is wrong somewhere either with the media or Kumuyi himself. Does that mean there was enmity with Papa and Son for 7 months? If that is true that means the Bible our manual is no longer in use by men of God. If I commit ed sin by this comment let him forgive me too cos forgiveness is divine. my dear, get used to the media. they paint stories in the way that will catch our attention. Hello everyone! Why do we write on the issues we know nothing about? What do you know about Deeper Life Bible Church's (DLBC) ways of handling issues regarding church workers or leaders who engage in wrongdoings? It is a usual thing in DLBC to suspend the service of a church worker or leader who breaks rules. The suspension does not mean that the church is fighting him; rather it is to give him time to make amendment and be sober for that wrongdoing. The church reinstalls such a suspended worker or leader anytime the church perceives the offended person has turned over a new leaf. Bear in mind that discipline (which includes suspension) does not mean the church hates him. Note here: nobody or no leader is too big to be disciplined in Deeper Life. By this, Pastor Kumuyi's son is not too big to be disciplined by the church. No partiality. Note also: Pastor Kumuyi's son was disciplined (i.e. suspended) by the church, not by his father. It is therefore a complete wrong statement by the write of this news above to say that Pastor Kumuyi has forgiven his son after seven months. 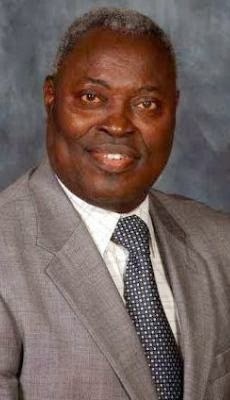 Pastor Kumuyi or the church never practised hatred towards Kumuyi's son, let alone of just forgiving him after seven months. Therefore, there was peace between the father and son since after the wedding. The son was only serving suspension as every other offended member serves in DLBC. Finally, my advice is that you should try to do more listening and researching the reason why than running to be publicising what you know nothing about according to the instruction in the book of Jude in Bible.God bless you!